Serviceplan Group have won 1 of 12 GRAND LIA Awards for le BECK’s, which was also awarded 3 Gold and 1 Silver award. Serviceplan are the Number 2 Ranked German agency at LIA 2018. Serviceplan Group celebrated an outstanding haul of awards at LIA 2018, including 1 of only 12 Grand LIA Awards handed out this year, for le Beck’s ‘The Legendary Beer Can’, which also collected 3 Gold and 1 Silver LIA. An impressive sweep of awards included; 1 Grand LIA, 4 Gold, 5 Silver and 8 Bronze. "For me, it was love at first sight. I have never seen anything like this. I think the shape of the packaging is a real game changer. 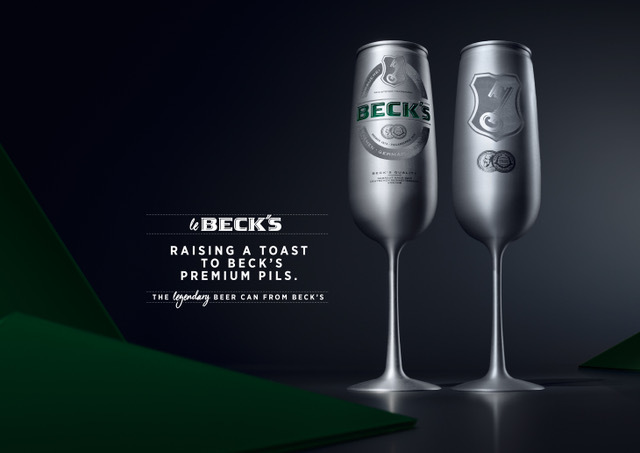 Everything from the craftsmanship of the glass to its finish was seamless," commented Isabelle Dahlborg Lidström, Jury President for Design and Package Design, on the Le Beck’s Package Design Grand LIA. Serviceplan Germany and Korea were jointly awarded 1 Gold, 3 Silver and 1 Bronze for Dot Mini, The First Smart Media Device for the Visually Impaired. Serviceplan Korea and Serviceplan Innovation are incubating DOT brand and Dot Mini's concept and overall marketing consulting in partnership with the DOT Inc and cloudandco. Serviceplan Greater China celeberated success with a Silver for The One Club ‘Portfolio Night – Seek Your Way’ in Print. 3 Bronze LIA Awards were given to Serviceplan Campaign X and Neverest for the ‘Adoptify’ campaign for Tierschutzverien München e.V. Also collecting 1 Bronze each were; ‘Featuring Alexa’ – Too Many T’s (Serviceplan Innovation); Fittle ‘The first 3D printed Braille puzzle’ - LV Prasad/ Ravensburger/ WHO (Serviceplan Health & Life and Serviceplan Innovation); and MINI ‘The Shortcut Billboards’ (SP Campaign X/NEVEREST).